Commercial Electrician, Serving Suffolk and Nassau Counties. Dawn Electric Corp. provides commercial services to small, medium, or large-scale facilities. We specialize in repair and installation of equipment in schools, hospitals, shopping malls and office buildings. Whether you need us for a minor repair or to wire your new shopping center from scratch, Dawn Electric is pleased to help. 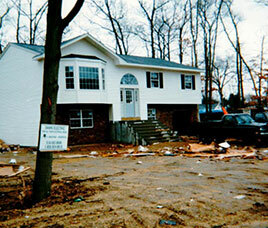 Residential Electrician Services on Long Island . For over 45 years, Dawn Electric Corp. has been one of the leading electrical contractors for new construction and custom homes on Long Island. 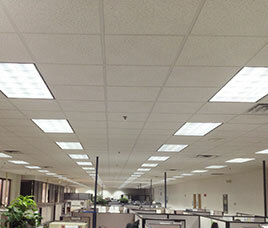 LED Lighting - Retrofitting Do you pay too much in utility costs every month? No matter what industry you're in, the right lighting is vital to the success of your business and Dawn Electric of Long Island has the experience in all LED lighting installs and upgrades that are both durable and energy efficient to help you keep your lighting costs down. From lighting fixtures and lighting controls to emergency lighting, Dawn Electric has you covered. 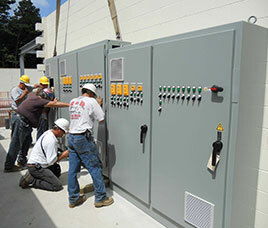 Backup Generator Installs by Dawn Electric of Long Island, NY is Long Island's trusted source for backup generator planning and installs since 1968. 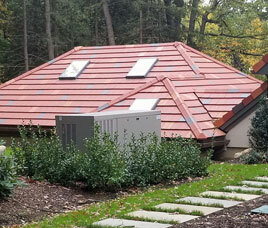 Say goodbye to worries about power outages with a backup generator installation from Dawn Electric Corp. of Long Island. Prepare your house or business for power outages. Dawn Electric -Trusted Electrical Solutions for Every Industry on Long Island. Dawn Electric Corp. of Long Island is a full-service firm founded in 1968 by Ken Leitch Sr. Our growth has been guided by a vision to build an electrical construction company that blends the analytic rigor of a consultancy with top-notch engineering and project management capabilities and a craftsman’s pride in a job well done. Trusted Electrical Solutions for Every Industry on Long Island. Because Customer Service is Our Top Priority. 3 Master electricians under one roof, combined over 100 yrs of experience! Trusted Electricians on Long Island, Family-Owned Since the 1960s. Dawn Electric of Long Island is a leading provider of commercial electrical services as well as residential electrical services for your home on Long Island for over 45 years, we have proudly offered electrical services throughout Suffolk and Nassau counties. From home electrical projects and upgrades to electrical contracting work for business and new residential construction, we have the expertise to help. This includes any outdoor or landscaping lighting projects. We know you are here for a reason, whether it is to fix a problem, improve an existing feature of your home or build something from the ground up. Whatever your electrical contracting needs are, Dawn Electrical Contractors of Long Island leads the field in experience, reliability and dependability! Choose us for all of your Long Island electrical needs. Contact us for a FREE quote.